I’ve gotten into the habit of spraying my face with something before bed, you know, an elixir or whatnot. A few weeks ago I ran out of my favorite (shoot). 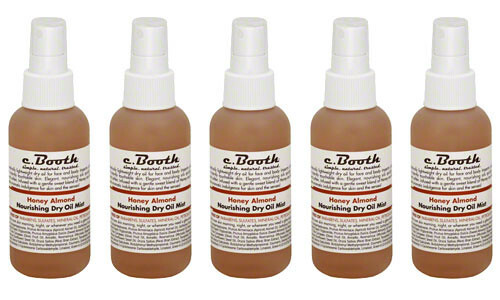 But then a little bottle of C Booth Honey Almond Dry Oil Mist appeared out of no where in my stash of products. I grabbed it and spritzed, and I’ve used it every night (occasional morning) since. I admit at first I was unsure of how I felt about this dry oil mist because upon first spray, it smells like you are sticking your face into a cupcake. But you know what? I’m into it. After the initial face full of almondy-vanilla goodness, the scent fades and my face instantly drinks up the oil. It’s a sweet addiction.